What constitutes ‘A Confined Space’? What are the dangers that may arise? A lack of oxygen which can suddenly occur for several reasons, for example where there is a reaction between some soils and the oxygen in the atmosphere. Action of groundwater on chalk and limestone can produce carbon dioxide and displace normal air. Poisonous gases and liquids can build up in underground work areas or can enter via connecting pipe work or through leaks in things like pits and trenches. Freeflowing Solids can dislodge when disturbed, bringing a multitude of possible problems such as crushing or trapping personnel, as well as cutting off oxygen supplies or leading to flooding of the area. The obvious risks of fire and explosion also have to be considered. Working in excessively hot (or sometimes excessively cold) temperatures can cause physical and mental stress, as well as dangerous changes in body temperature, and so requires a strict health and safety provision. The working temperatures need to be monitored at all times with adequate thermometers to ensure safe working environments. The management must make sure that all staff wear any necessary safety protection when it comes to clothing and equipment, such as breathing apparatus, for example. The length of time a worker can continually work within the confined space must also be managed properly, so in order to prevent problems like heat exhaustion, job rotation may be required. Avoid entry to confined spaces, for example by doing the work from outside: You need to check if the work can be done another way. Better planning could reduce the need for confined space working and the duration of work and number of workers exposed. Also, ask yourself if the work is really necessary. Perhaps you could modify the confined space itself, so that entry is not necessary. Failing that, the work could be done from outside, for example blockages in silos could be cleaned by use of remotely operated rotating flail devices, vibrators or air purgers. If, after full consideration of the above requirements, entry into a confined space cannot be avoided, make sure a safe system has been put in place before sending any workers inside the space. The results of your risk assessment will identify the necessary precautions to be taken. Identification of precautions to be taken is one thing, but putting it into practice is another - which must be done through training, assessment and communication. Those involved: Check the person is suitable for the work. Do they have sufficient experience of the type of work to be carried out - and have they received proper training, as well as being physically fit enough? Self-Contained Breathing Apparatus (SCBA) lets the wearer work without the restriction of a hose or air line in an atmosphere that is contaminated and/or deficient in oxygen. This type of breathing apparatus is suitable for short-term routine work and emergency use. These devices provide air from a source carried by the wearer without unduly impeding the wearer, and can be used in extremes of temperature. The most widely used SCBA is a compressed air open circuit device with a compressed air cylinder, an air line to a demand regulator, and a facepiece. Workers with emergency rescue responsibilities will need additional specialised training. All confined space training should include some hands-on training with the safety equipment. Rescue procedures should be practiced frequently so there is a high level of proficiency. Employers should keep records of all confined spaces training including refresher courses. It is recommended that the retrieval system be capable of rescuing the victim without the need for other persons to enter the confined space. Safe access and egress must be provided, in other words, appropriate fall protection and rescue equipment should be used from the time the person enters the space until exiting the space. Ropes, harnesses, fall arrest gear, lifelines and winches used in connection with confined space entry or, emergency rescue, should be suitable for the purposes for which they are intended, and account taken of appropriate recognised standards where these exist. Equipment used for lifting, such as ropes, harnesses, lifelines, rings, shackles and carabiners, will have a test certificate and safe working load when purchased. It is important to ensure they are not further tested (as this could weaken them). If they become damaged, they should be scrapped. Records of the examination and equipment testing should be kept for a minimum of five years. Man-riding winches and fall arrest systems should be tested every six months. There are other recognised international standards. For example, in Australia, the selection of the type of safety harness or safety line or rescue line should be in accordance with Australian Standard AS 2626. Rescue harnesses: Lifelines attached to harnesses should be able to run back to a point outside the confined space, which in turn is affixed to a suitable tripod/lifting device to allow safe and speedy evacuation should it be required. There are lots of different types of harnesses, and it is important to understand that they are not all?suitable for confined space rescue. Waist belts or chest harnesses should on no account be used for confined space access or rescue situations. They may be used for restraint purposes to prevent a person from reaching a place where the risk of fall exists. A further factor is the use of voice operated transmission switching (VOX). In many noisy environments this may either require continuous adjustment or, worse still, may cause channel lock-out in a single channel system. Often, the most reliable solution under these circumstances is to adopt press-to-talk only operation. Raising the alarm: Place a trained person outside in order to keep watch, communicate, raise the alarm and take charge of rescue procedures. Work permit: Some sort of control system, such as a permit to work, (PTW), will be required to ensure a formal check is undertaken to ensure all elements are in place before people are allowed to enter or work in the confined space. It would include features such as clear identification, provision for ensuring contractors and others concerned are trained, instructed, monitored and audited, in order to ensure that the system works as intended. Shut down: In order to prevent additional harm to both the rescuer and those in need of rescue, it may be necessary to shut down adjacent plant before attempting an emergency rescue. First aid procedures: Suitable first aid equipment and facilities must be available for the hazards identified in the risk assessment and a suitable number of competent and trained first-aiders need to be available. If resuscitation has been identified as a likely requirement by the risk assessment, then provision will need to be made for training in use of resuscitation equipment which might include defibrillation and oxygen. Local emergency services: Ask yourselves exactly how the local emergency services (fire brigade for example) are made aware of what you are doing in advance of any work and therefore, should there be an incident, how will you and they react most efficiently to effect any rescue on their arrival? 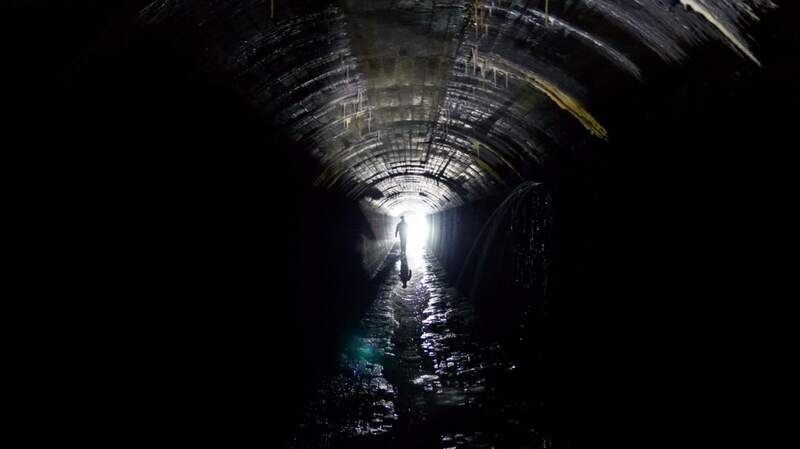 There is so much more contained within Confined Spaces best practice than can be covered here, hence the importance of proper training and assessment in this field. Many organisations like British Safety Services offer professional and management level training from recognised awarding bodies including the National Examinations Board in Occupational Safety and Health (NEBOSH). The NEBOSH National General Certificate and National Diploma provide an excellent qualification in health and safety, however many companies would benefit from a bespoke in-house training course relevant to their own organisation. This would allow the training to cover specific hazard identification, risk assessments, how to carry out the work activities in a safe manner, developing communications strategies and emergency procedures. People trained and prepared for working in confined spaces will help reduce the level of risk in this hazardous environment.